IGT has brought together a team of proven leaders to create a powerful gaming and lottery enterprise, providing expertise and value to all of our customers around the globe. Marco Sala is Chief Executive Officer of International Game Technology PLC (IGT), and serves on its Board of Directors. He is responsible for overseeing the strategic direction of the Company, which is publicly traded on the New York Stock Exchange (NYSE:IGT). He works directly with the board and other senior management to establish long-range goals, strategies, plans, and policies. Prior to April 2015, Sala served as Chief Executive Officer of GTECH S.p.A. (formerly known as Lottomatica Group) since April 2009, and was responsible for overseeing all of the Company’s segments including the Americas, International, Italy, and Products and Services. He joined the Company as Co-General Manager in 2003, and since then, has served as a member of the Board of Directors. In August 2006, he was appointed Managing Director with responsibility for the Company’s Italian Operations and other European activities. Previously, he was Chief Executive Officer of Buffetti, Italy's leading office equipment and supply retail chain. Prior to Buffetti, Sala served as Head of the Italian Business Directories Division for SEAT Pagine Gialle. He was later promoted to Head of Business Directories with responsibility for a number of international companies such as Thomson (Great Britain), Euredit (France), and Kompass (Italy). Earlier in his career, he worked as Head of the Spare Parts Divisions at Magneti Marelli (a Fiat Group company) and soon after, he became Head of the Lubricants Divisions. Additionally, he held various marketing positions at Kraft Foods. Sala graduated from Bocconi University in Milan, majoring in Business and Economics. 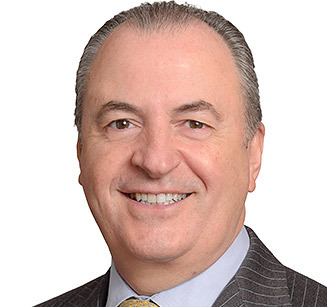 Renato Ascoli, as Chief Executive Officer, North America of IGT PLC, is responsible for product development, manufacturing, marketing, and delivery of the Company’s gaming, digital, and lottery offerings. Prior to this role, Mr. Ascoli served as Chief Executive Officer, North America Gaming & Interactive following the merger of GTECH S.p.A. and IGT in April of 2015, until June of 2018, when the Company combined its North America lottery and gaming business units. 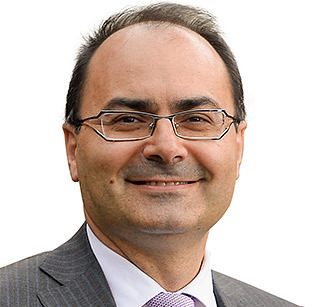 From 2006 to 2015, Mr. Ascoli served as General Manager of GTECH S.p.A. (formerly known as Lottomatica Group) and President of GTECH Products and Services, where he was responsible for overseeing the design, development, and delivery of state-of-the-art platforms, products, and services. He supported all stages of the sales process, and provided marketing and technology leadership to optimize investment decisions. Prior to this role, Mr. Ascoli served as Head of Italian Operations. In this position, he was responsible for the strategic direction and operations of the Company’s Italian businesses. He joined GTECH S.p.A. in 2006 as Director of the Gaming division. From 1992 to 2005, Mr. Ascoli worked for the national railway system Ferrovie dello Stato/Trenitalia, where he held roles of increasing responsibility including head of Administration, Budget, and Control of the Local Transport Division; head of Strategies, Planning, and Control of the Transport Area; and head of the Passengers Commercial Unit. In 2000, he was appointed Marketing Director of the Passengers Division, and later served as Director of Operations and Passengers Division. He also was head of International Development for Trenitalia. Earlier in his career, he led international marketing efforts for Fincentro Group - Armando Curcio Editore, where he was responsible for commercial development of the publishing assets of Fincentro Group. He was also responsible for defining the strategic and management assets of the many companies comprising Fincentro Group. Mr. Ascoli also served as a consultant to Ambrosetti Group, supporting the internationalization process (Spain, England, and U.S.A.). He graduated from Bocconi University in Milan, majoring in Economics and Social Studies. 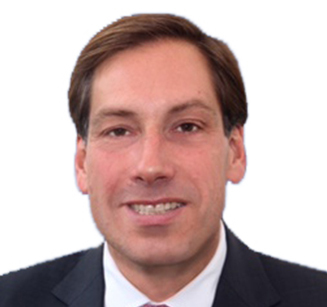 As Chief Executive Officer, International of IGT PLC, Walter Bugno is responsible for the management and strategic development of the International region. He works directly with IGT PLC’s management teams to implement the Company’s vision through the ongoing delivery of value to customers, shareholders, and employees. Mr. Bugno leads the Company’s lottery, gaming, and interactive businesses throughout Europe (except Italy), as well as in the Middle East, Latin America and the Caribbean, Africa, and the Asia-Pacific region. He also oversees private manager agreement opportunities across these regions. He joined GTECH S.p.A. (formerly known as Lottomatica Group) in July 2010 as President and CEO of SPIELO International (now integrated into GTECH). He led the business by capitalizing on the many growth opportunities in the gaming industry, and overseeing the Company’s long-term strategic direction. In 2012, Mr. Bugno’s portfolio expanded to include the Company’s interactive business. Under his leadership, SPIELO experienced substantial growth and became a major contributor to the Company’s total earnings. From 2006 to 2009, Mr. Bugno was the CEO of Casinos for Tabcorp Holdings Limited, Australia’s premier gambling and entertainment group. During his tenure with Tabcorp, Mr. Bugno transformed the business from being product-driven to customer-driven by revitalizing the customer casino experience with new loyalty programs, products, and customer service. Some of his successes included a new 12-year exclusive casino license with the New South Wales government, expansion of gaming products, and increases in market share. Prior to Tabcorp, Mr. Bugno was President of Campbell Soup Company in Asia Pacific from 2002 to 2006. He was responsible for Campbell’s food products, manufacturing, and distribution. He was previously Managing Director of Lion Nathan Australia, a division of Lion, one of Australasia’s leading beverage and food companies. Mr. Bugno grew up in Australia and Italy, and has Bachelor of Commerce and Master of Commerce degrees from the University of New South Wales, Australia. 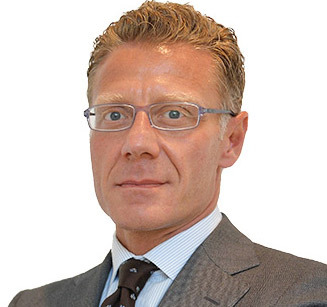 As Chief Executive Officer, Italy of IGT PLC, Fabio Cairoli is responsible for managing all business lines, marketing services, and sales for the Company’s Italian operations. Through his leadership of the largest lottery operator in the world, Mr. Cairoli shares insights and best practices with other organizations in the Company. 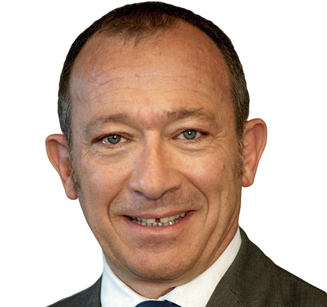 Mr. Cairoli joined the Company in 2012 as Senior Vice President of Business. He has more than 20 years of experience in consumer goods for multinational organizations, with both local and international expertise. He served as Group General Manager and Board Member of Bialetti Industrie, a world-renowned Italian manufacturer and retailer of stovetop coffee (espresso) makers and small household electrical appliances. During his tenure at Bialetti, he was responsible for turning around the business by refocusing strategy, streamlining costs, and optimizing the product portfolio and retail presence. Prior to Bialetti, Mr. Cairoli served as General Manager of Star Alimentare, a major Italian food company, and successfully relaunched an historical brand. Additionally, he spent part of his career with Julius Meinl Italia and with Motorola Mobile Devices Italy. He also spent 10 years with Kraft Foods in Italy and the U.K. in various capacities. Mr. Cairoli holds a bachelor’s degree in Economics from the Catholic University in Milan. As Senior Vice President, Gaming Portfolio of IGT PLC, Fabio Celadon is responsible for the management of the Company’s Gaming Portfolio organization. Under Fabio’s direction, the organization ensures the monitoring of relevant technological advancements and market and competitive trends; the consolidation of the global Research, Development and Delivery plan and related allocation of budgets and resources; the evolution of the Company’s content portfolio; the consolidation of hardware and content roadmaps; and, the monitoring of hardware and content roadmaps execution as well as product performance and results. Mr. Celadon most recently served as Managing Director, IGT Greater China and Senior Vice President, IGT International. In this role, he was responsible for managing IGT’s business and operations across lotteries, video lotteries, sports betting and interactive, and mobile gaming in Greater China. He was also responsible for the strategic development of IGT’s business in Greater China, India, and Japan. Prior to April 2015, Mr. Celadon served as Senior Vice President of Group Strategy and Corporate Development for GTECH S.p.A., where he was responsible for developing GTECH’s overall corporate strategy, identifying and evaluating key strategic growth initiatives, and executing the corporate development strategy through mergers, acquisitions, joint ventures, and divestitures. Mr. Celadon has also held several strategy, corporate development, and finance positions since he joined Lottomatica Group, GTECH’s predecessor-company, in 2002. Mr. Celadon served as CFO of Lottomatica from 2002 to 2004. Following the acquisition of GTECH by Lottomatica, he relocated to the U.S. where he held the position of GTECH Vice President of New Market Development before being promoted to Senior Vice President of Strategic Planning in 2008. Prior to joining Lottomatica, he was a partner with Atlantis Capital Partners, a private equity firm, and prior to that, he worked for Morgan Stanley in London in the mergers and acquisitions department. Mr. Celadon holds a Law Degree from LUISS Guido Carli University in Rome and an MBA from Columbia Business School in New York. As Executive Vice President of People and Transformation, Mario Di Loreto is responsible for providing the overall people and transformation leadership and strategy to further organizational development and ensure that IGT attracts, develops, and retains a talented, diverse, and engaged workforce. 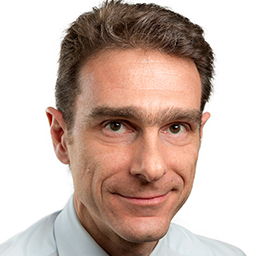 Prior to joining IGT, Mr. Di Loreto was Executive Vice President for Human Resources and Organization at Telecom Italia Group and its 50,000 employees, where he led a complete re-engineering of the HR management core processes across the global organization as part of a three-year People Strategy Program. Previous to joining Telecom Italia, he spent four years as the Human Resources Group Director for Barilla, where he was responsible for 15,000 employees in 17 countries. In this role, Mr. Di Loreto participated in the re-organization of the international subsidiary companies to achieve cultural and business integration and alignment. 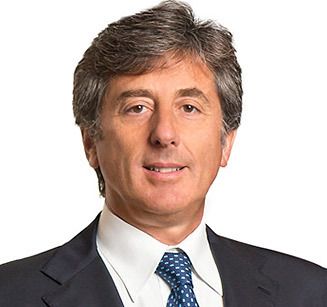 In addition, Mr. Di Loreto has held HR positions with increasing levels of responsibility and authority with Starwood Hotels, where he was part of a global innovation team that worked under Starwood’s CEO at its U.S. headquarters to help define the evolution of the company’s organizational and business models. He has also held senior HR positions with Air One and subsequently Alitalia, where he participated in the creation and development of two low-cost carriers, Alitalia Team and Alitalia Express. Mr. Di Loreto graduated with a Ph.D. in the Philosophy of Science from the University of Rome, and for a time, pursued an academic career before beginning his career in business. 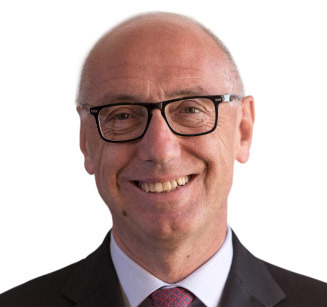 As the Executive Vice President and Chief Financial Officer for IGT Plc., Alberto Fornaro is responsible for managing and developing the financial strategy for the global company. He oversees the Finance, Accounting, Treasury, Tax, Investor Relations, M&A, Strategy, Legal, Compliance and ERP organizations, requiring decisive planning and continued improvement of financial strategies to maximize shareholder value and cash flow; providing high quality financial and management reporting; and ensuring compliance of all fiscal, statutory reporting, and legal matters. He brings more than 25 years of strong financial expertise to IGT Plc. and has an extensive record of significant international exposure. 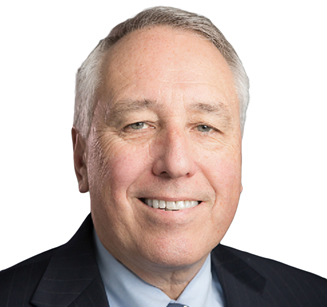 Prior to joining the Company, Fornaro served as Group CFO and President of the EMEA (Europe, Middle East, and Africa) division at Doosan Infracore Construction Equipment (DICE), a world leader in the construction equipment industry formed by Bobcat and Doosan Infracore. During his tenure at DICE, he led numerous integration programs and several cost-saving initiatives, helping DICE to weather the economic downturn and emerge an even stronger player in a highly-competitive industry. Mr. Fornaro also served as General Manager and CFO of Technogym, the second largest worldwide manufacturer of fitness equipment. Additionally, he spent 12 years in finance at Case New Holland (CNH) Global/Fiat Group in Italy and the U.S. At CNH, he served in many different financial capacities at the Vice President level. He holds a bachelor’s degree in Economics and Banking from the University of Siena, Italy; a master’s degree in Banking and Finance from the University of Siena’s Post Graduate School, Italy; and was a Visiting Scholar at the Ph.D. Program in Economics at Columbia University, New York. Fornaro is licensed as a Certified Public Accountant in Illinois. Mr. Fornaro holds dual citizenship in the U.S. & Italy. As Senior Vice President of Corporate Public Affairs, Scott Gunn is responsible for IGT’s public affairs related to government relations strategy, and is instrumental in directing and facilitating government relationships and public engagement to advance global business interests for the North American and International business units. Mr. Gunn has been with the Company for more than 24 years, and has held positions in operations, sales, business development, and public affairs. Prior to his current role, he was Senior Vice President of Global Government Relations and North America Lottery Business Development, overseeing worldwide government relations strategy and managing the Company’s global network of government relations resources, as well as pursuing public sector market opportunities for the Company’s various lines of business in North America. Mr. Gunn began his career at a public affairs firm in Washington, D.C. He was also an Associate at National Media Inc., where he worked on media strategy for state and federal political campaigns. He has held various positions within national and state political party organizations, and has been involved with several U.S. presidential campaigns. Mr. Gunn serves on the Board of Advisors to Reviver Auto, is Chairperson of IGT’s Political Action Committee, and is a member of IGT’s Executive Diversity and Inclusion Council. He has a bachelor’s degree in Political Economics from Tulane University in Louisiana, U.S.
As Senior Vice President of Global Brand, Marketing, and Communications, Wendy Montgomery oversees the strategy for IGT’s global brand, trade shows, and external communications, including community relations, responsible gaming, and corporate social responsibility. 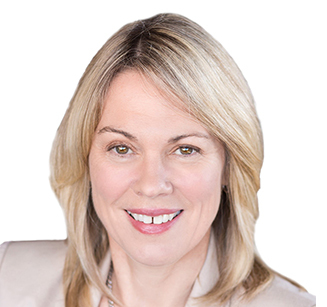 Prior to joining IGT in 2018 as Senior Vice President of Global Lottery Marketing, Ms. Montgomery spent 13 years at the Ontario Lottery and Gaming Corporation where she led marketing, sales, operations, policy and planning, and the iGaming business. Her previous experience spans multiple industries, including in the entertainment business in her role as Vice President and General Manager, W Network, under Corus Entertainment, Inc., and before that, in the telecommunications field as Vice President of Marketing with Star Choice Communications, Inc. She has also held leadership roles in apparel, consumer products, and food categories, and has previously lived and worked in South Africa, Israel, Eastern Europe, Canada, and the United States. Ms. Montgomery is a graduate of the Executive Leadership Program at Queen’s University in Kingston, Canada. She holds a diploma in Marketing Management from the Institute of Marketing Management in Johannesburg, South Africa, as well as a Higher National Diploma in Business Studies from Greenwich University in London, U.K.
As Chairperson of IGT Global Solutions Corporation, the primary operating subsidiary for the U.S. lottery business, Robert Vincent represents the Company when interacting with global customers, current and potential partners, and government officials. He also serves as a senior counselor to IGT Chief Executive Officer Marco Sala and the rest of IGT's senior leadership team. Previously, Mr. Vincent served as Executive Vice President for Administrative Services and External Relations of IGT PLC. He oversaw global external and internal corporate communications, media relations, branding, and social responsibility programs. He also led a centralized Administrative Services organization that included information security, global procurement, real estate/facilities, food services, environmental health and safety, and facility security and monitoring. In addition, he was involved in selected business development projects, and supported activities in compliance, investor relations, marketing communications, and government relations. Prior to that, he served as Senior Vice President of Human Resources and Public Affairs for IGT PLC. Before April 2015, Mr. Vincent had been affiliated with GTECH S.p.A. for more than 20 years, having served as an external consultant; as Vice President of Business Development for Dreamport, GTECH’s former gaming and entertainment subsidiary; and as Senior Vice President of Human Resources and Public Affairs for GTECH S.p.A.
Before joining the Company, he was a senior partner at RDW Group, a regional advertising and public relations company in Rhode Island. He also held senior policy and administrative positions with Rhode Island-based governments, including the Governor’s Office, Secretary of State’s Office, and the Providence Mayor’s Office. In addition, he has staffed community and government affairs efforts at Brown University in Providence. Active in the community, Mr. Vincent serves on the Boards of the University of Rhode Island Foundation, Rhode Island Hospital Foundation, Family Service of Rhode Island, and the URI Harrington School of Communication. Mr. Vincent received his bachelor’s degree in Political Science from the University of Rhode Island.